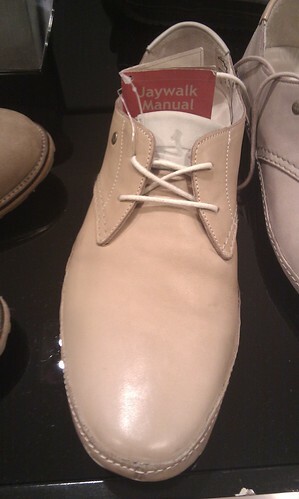 Deek spotted this JayWalk shoe at Robinsons a few week ago. Let me show you what is called beautiful men's shoes: a category drown out by the Jimmy Choos and Manolo Blahniks all thanks to Carrie Bradshaw & Co. I have two favourite. 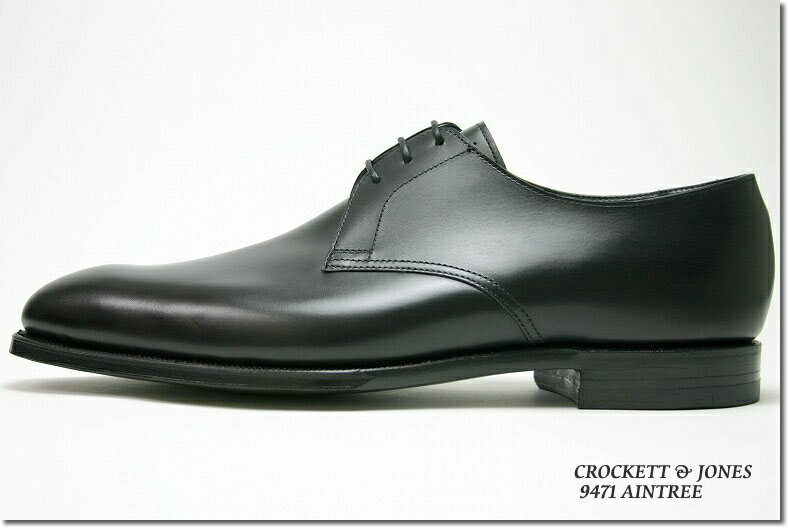 In the buckle category, it's the John Lobb Redmire and in the laced category, I like the Crockett & Jones Aintree. I look at the leather. The suppleness and the grade. Having worked with leather for several years, I have gain quite a handful of knowledge in this field and I appreciate when good leather is used to pamper the feet. I also look at the lines which you can see my affinity. To me, smooth lines can only be achieve using single-piece of leather rather then stitching up using several smaller pieces. The challenge of craft is there and again, I appreciate. As such, Oxfords and Derbys are out for me. I also look at the craftmanship, precision as well as attention to detail. One may argue about what craftmanship is there to talk about if the shoe is not bespoke. Still quality may varies with the grade of machines used to mass manufacture these shoes. Yes, machines are capable of making good shoes too. Besides, I think all the shoemaker elves were retrenched a few years ago. Last for not least, I like my shoe to have leather soles rather than rubber ones. They make a nicer sound when you walk across the marble hallway. Sounds expensive? Yes but you will get your value for money as they are more longer lasting. Hush Puppies as comfortable and affordable they are, can last at most 2 years and is considered a disposable shoe since the rubber sole, once worn out, cannot be replaced. As I am typing this, I am wearing my Bruno Magli that I bought in 1996. I must have changed several heels and sole liners over the years but the fact that it is leather sole means these wear-n-tear parts are replaceable. So if you divide the amount of money by the number of years, investing in a good pair of shoes is actually more economical with proper care and maintenance. However, I am sad to report that the life of Bruno is nearing its end as the harsh environment of QQLand is fast accelerating its pace back to the happy shoe place in the sky. Thank you Bruno for walking with me for the past 15 years. I have my Bruno Magli for 10 years, changes several soles too!!! Great shoe!!! 15 years! how much is your walk? I remember buying the Bruno at a warehouse sale. It was the last pair and exactly my size. I believe I paid $170 for it. Bruno Magli can last for 10 years, thats very cool. can save alot man. Well, as long as proper care is administered, most shoes will be able to last quite a while. One thing though, make sure wear-n-tear parts can be replaceable e.g. soles and heels. this is far too cheap for a pair of shoes that last 15 years! do they have anything for ladies? I think you missed the point. It's not about which brand will yield the longevity but rather how you go about taking care of it. Get on MSN and I'll explain further, if you like.